Aluma's Infinity acrylic prints are perfect for showcasing the maximum amount of color & depth in your image. 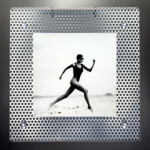 The second surface, direct to acrylic printing process can be used to create art pieces large & small. Both the Quick Mount and the Traditional Stand-Off mounting options for our Infinity acrylic prints are modern and minimalist. When you view them from the front, both the Quick-Mount and the traditional Stand-Off frame look the same, only when you view each from the side do you see the difference. The Quick-Mount version of the Infinity acrylic print is very minimalist and looks as if the print is just floating on the wall. Less damage to walls and ease of hanging make the Infinity Quick-Mount version a top choice of commercial clients nationwide. 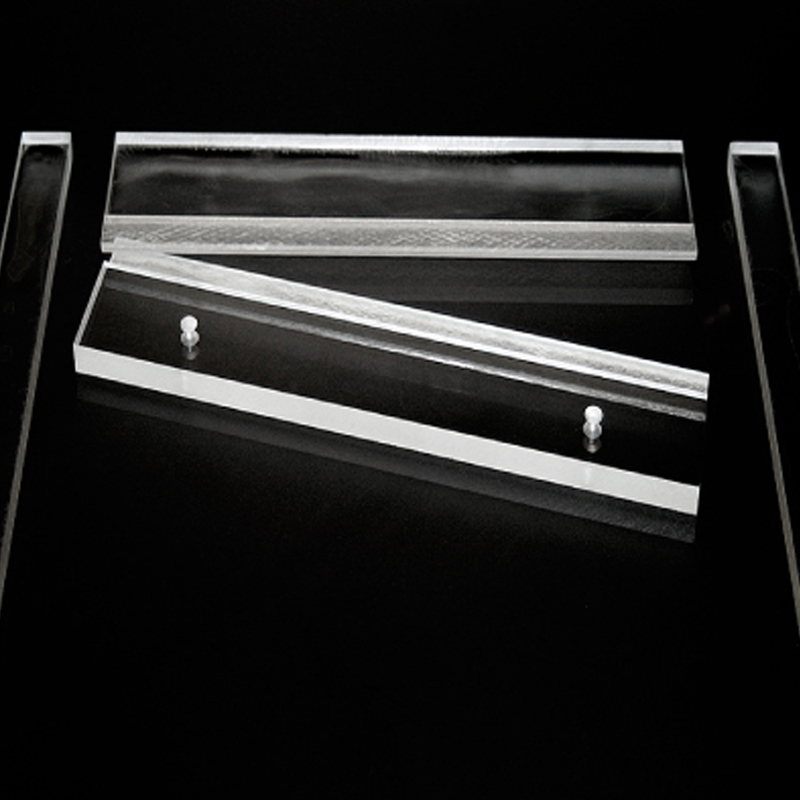 For those who want to see more hardware or need to frame items that are transparent in nature, the Stand-Off version and its visible back barrel hardware is a great framing solution. May be ordered with or without the decorative architectural cap hardware. 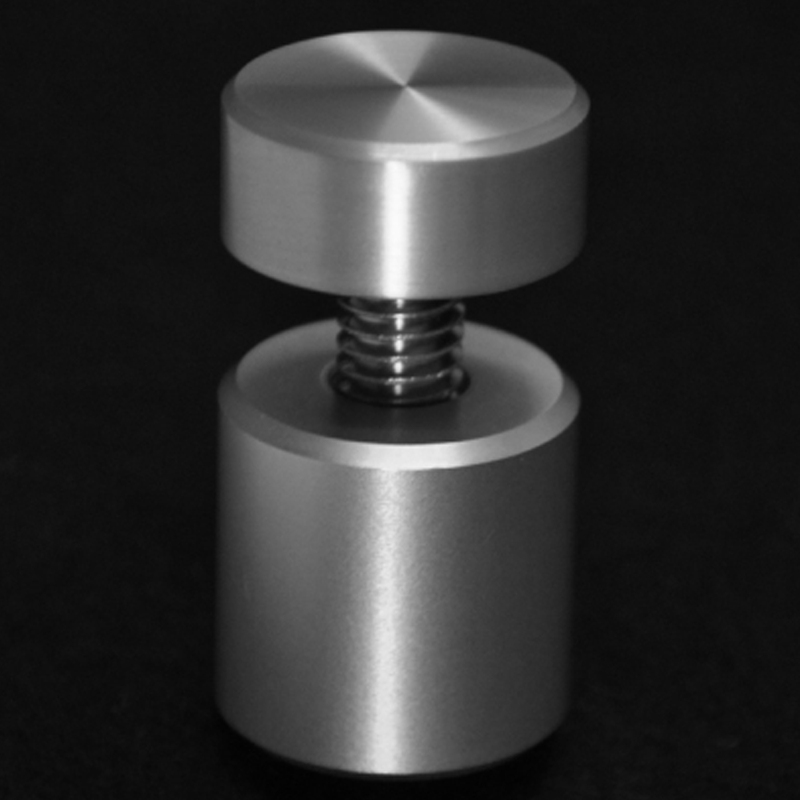 Both 5/8” & 7/8” Round hardware available. 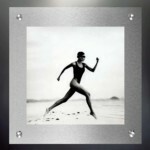 One 1/2” Quick-Mount Bracket is Welded to the black bacaker material which protects the UV Acrylic print. Easier and quicker to mount than Stand-off hardware. 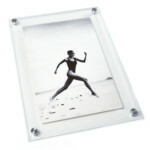 Clean modern look as the mounting brackets are hidden behind Acrylic Print. Frame looks like it’s floating on wall. 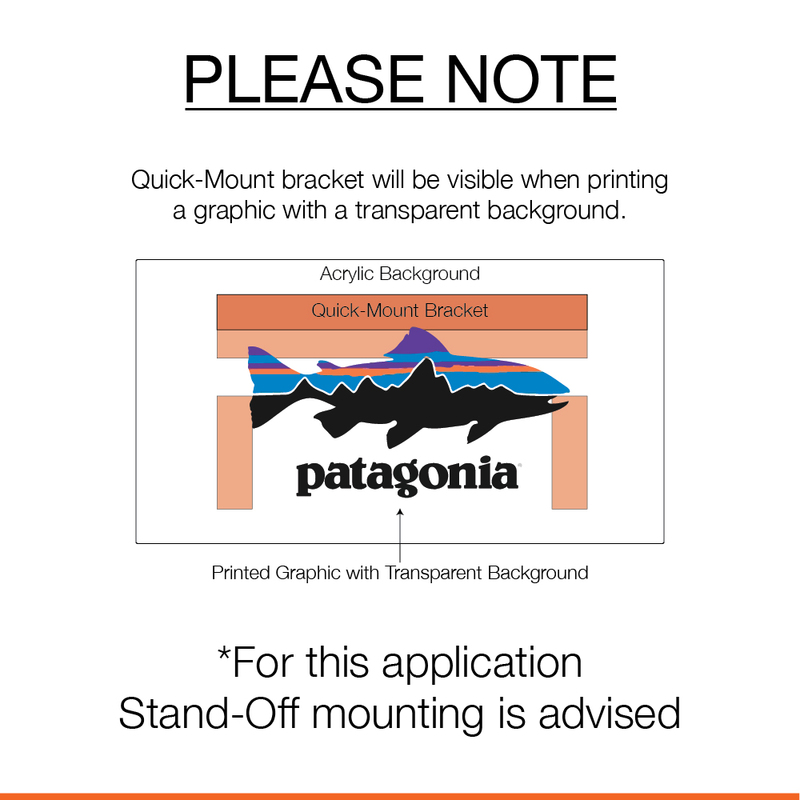 Back view of Quick-Mount bracket, Wall Cleat and safety strips which are all hidden behind your framed graphic. Quick-Mount bracket makes changing images much quicker than the traditional Stand-Off version. Architectural Stand-Off hardware holds Infinity Acrylic Art Print to wall. 4-8 anchor holes depending on size. Oversized Acrylic Prints may have up to 6-8 caps depending on size. Generally dimensions over 34” require extra stand-off hardware. Hardware visible from side view unlike Quick-Mount which is a hidden mount. Slightly more support for corners of acrylic material, which minimizes any slight acrylic tappering.